The all-new R249II EVO Ecopia takes you further than ever before at an even lower cost per kilometre. This enhanced steer tyre for highway use offers several major benefits in terms of wear resistance, mileage and fuel economy throughout the entire lifecycle. Add that to its outstanding retreadability and higher than standard load capacity, and it’s easy to see how this tyre can keep your fleet and your business on the right track. Equaliser RibTM attracts the forces of river or wavy wear, thus improving pressure distribution across the main ribs. Less irregular wear means longer tyre life. NanoPro-TechTM compound reduces internal friction, avoiding energy loss in the top compound as the tyre rotates. 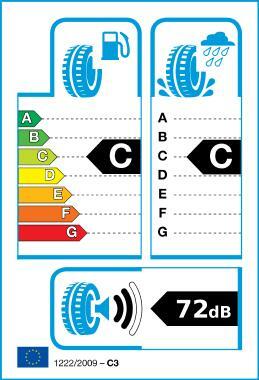 Lower rolling resistance means less fuel consumption. Bridgestone’s NanoPro-Tech™ compound guarantees lower fuel consumption as well as durability and abrasion resistance similar to other premium Bridgestone tyres. Flat Contact Package (FTP) optimises casing line and belt tension, further reducing wear on the shoulder rib. Waved beltTM reduces stress and strain at the belt edges thus allowing to carry heavier loads and increased casing retreadability. Groove Fences reduce the generation of tyre noise at all speeds. Stone ejectors minimise stone retention and stone drilling, which in turn improves tyre retreadability. Central Sipe Technology Deeper and more dense sipe application on centre and 2nd rib. Evenly distributes acceleration and braking forces, significantly reducing irregular wear and prolonging tyre life. EVO – Increased load capacity The R249II EVO Ecopi a has a higher load capacity than standard tyres and is Bridgestone’s answer to ever stricter European emissions standards and the demand for increased load capacity.